With the upcoming holidays, this will be my last blog of the year, before returning in early January. After another busy and hectic year at SQM, I want to thank all of our office staff and field force for a job well done. In addition, I also would like to also thank the many suppliers to SQM, for their role in our company’s success. Finally, I would like to extend my appreciation and thanks to all of our clients for their business and support. Although personally and through SQM I support a number of charitable causes on an ongoing basis, it seems as if more people tend to think about those in need around the holiday season. On that note, I’d like to mention one particular cause that could always use more support and donations. Toronto based, Ve’ahavta, offers a number of programs, but one in particular involves providing the homeless with meals, clothing, and other necessities. While many people frequently donate warm winter clothes, to help people in need, I’ve recently learned that there are certain items that are often overlooked, such as new pairs of socks and new (unopened) underwear. People need clean socks and underwear on a daily basis, so should you ever find yourself wanting to help the less fortunate, wherever you are around the world, please keep these items in mind. It only takes a few minutes and a few dollars to make a real, tangible difference. Alternatively, as in past years, if you would like to send any new items or gift cards to the SQM office, we would be happy to collect / purchase the items and deliver them to the organization. 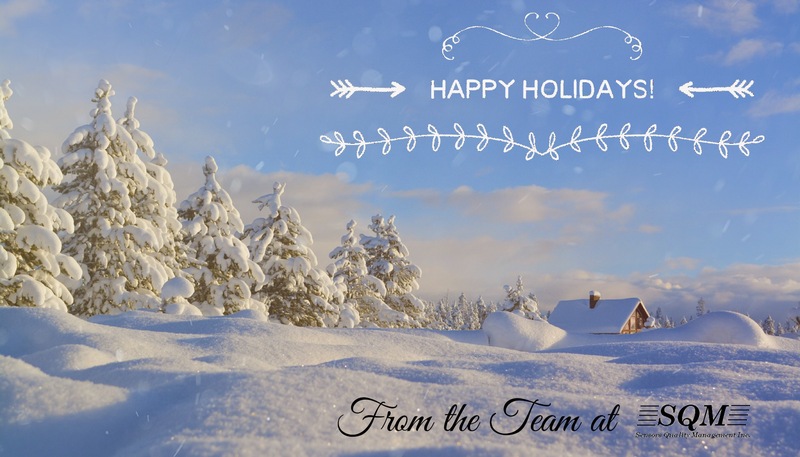 On behalf of myself, my family, and the SQM team, I’d like to wish you and your loved ones a safe and enjoyable holiday season and my best wishes for a happy, healthy and prosperous 2018!